Have you ever felt like you just needed to pray? You just didn’t know how? Or you wanted to pray but didn’t know where to go? Well Precious, this is the place. Let’s lift each other up in prayer. We all need it. We all need it. It’s expedient. This is a clean christian site which is full of prayers, inspiration, hope,love, etc….. 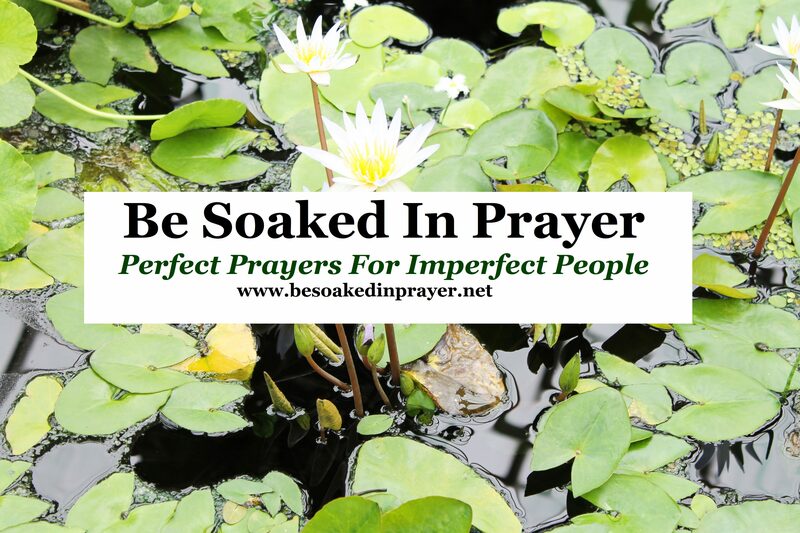 If you have inspirational prayers you’d love to send, you can send to besoakedinprayer@gmail.com. On that note, Let’s Pray. We come before you in the marvelous name of Jesus. We come together to thank you for all that you have done for us. You are our everything and we give you praise. Hallelujah!!! Praise your holy name. You’re our Provider, our Healer, our Father, and we thank you. We thank you and we bless your Holy Name. Bless our founder and prayer leader, Dear God! Bless our ministry leader, prayer warriors, funders, supporters, ministry and those who come to us for prayer, Dear God. May it bring you glory. May it do what you have called it to do. In the marvelous name of Jesus. Amen & we love you.